Looking for a way to impress your clients? This box and bag scene creator mockup will do just the trick! It will help present your design in a photorealistic stylish way and show how professional and talented you are as a designer. This PSD mockup includes a help file, 20 objects (8 bags, 12 boxes) in separate PSD files, 8 premade scenes, and some preview JPG files. You can easily add your designs via smart layers, change colors of every single element in the scenes, and edit shadows/light according to your taste. It’s great for branding projects, packaging design, and web design. 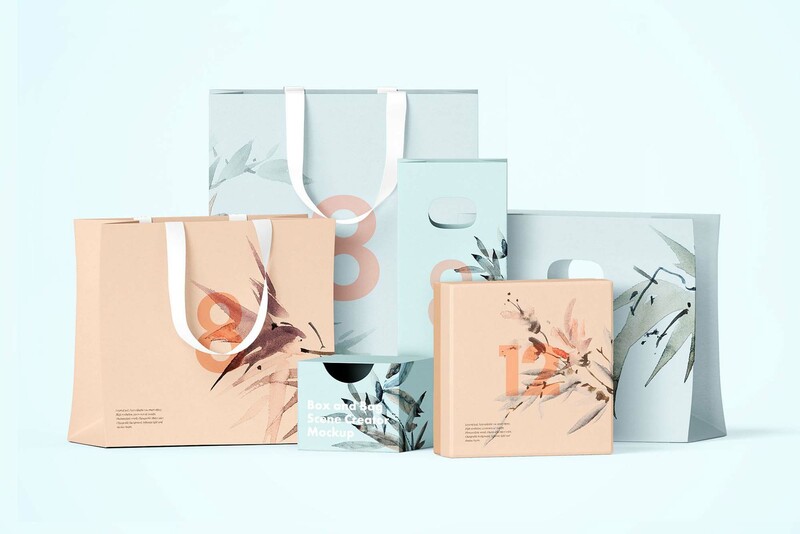 Thanks to Polina Osintseva for sharing this beautiful box and bag scene mockup. Check out her portfolio on Behance for more design resources.